Traditionally on this blog, the Moment of Awesomeness posts include some sort of Extreme Sports video. Today’s post does not. Even though this post won’t focus on those who voluntarily jump off of a perfectly good mountain, or people who just hate being safe with two feet on the ground, it will still focus on people who I think are brave and worthy of recognition! – 11:00am-1:00pm – Play with a really creepy mask, and feel more confident helping people if the situations ever arise where they need it! Peter and Scott were good at rowing. Peter and Scott wanted to get even better at rowing. Peter and Scott did just that. After committing to sign up for an Indoor Rowing competition, my friends approached me about getting in better shape for their respective races. I bet Peter could pull a 1:25 for a 500m row in his sleep. The dude has rowed a 1:21.8 for crying out loud! In my head,that is insanely fast. He didn’t want to race that distance, however. He wanted to step outside of his comfort zone and race the 2,000m distance, a pretty significant jump in distance for a sprinter like myself. Scott comes from a history of cycling. So, while he’s no stranger to racing or “endurance” events, rowing for sport, however, was a new concept for him. When these two approached me about getting them on a 12-week program in preparation for race day, I was stoked! Few things make me happier than watching athletes push themselves just for the sake of pushing themselves! 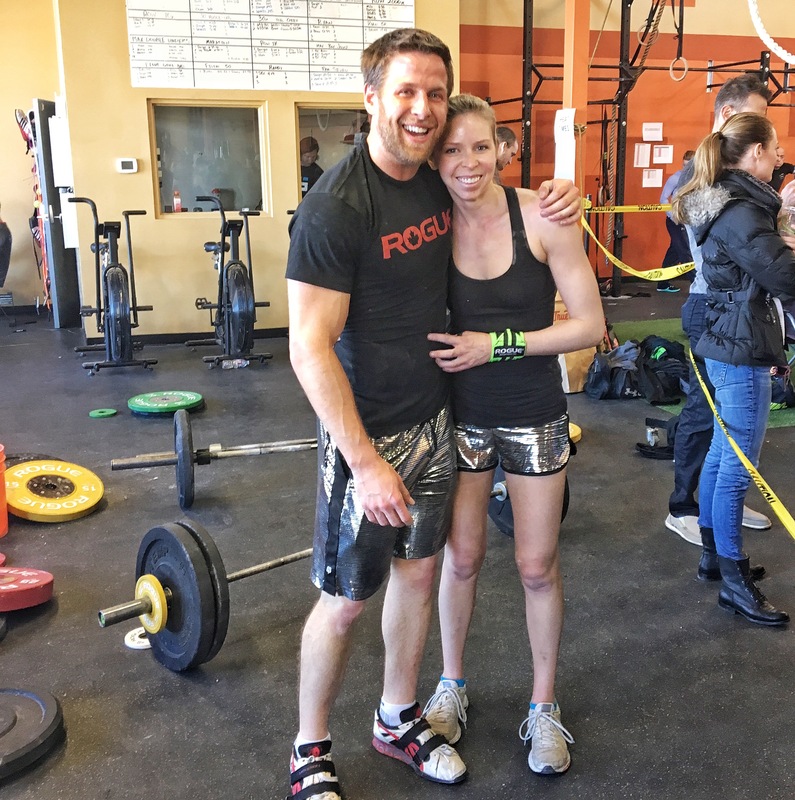 After nearly 3 months of row-dedicated workouts and time on the erg, we were so happy to see that BOTH of them PR’d in their respective distances! 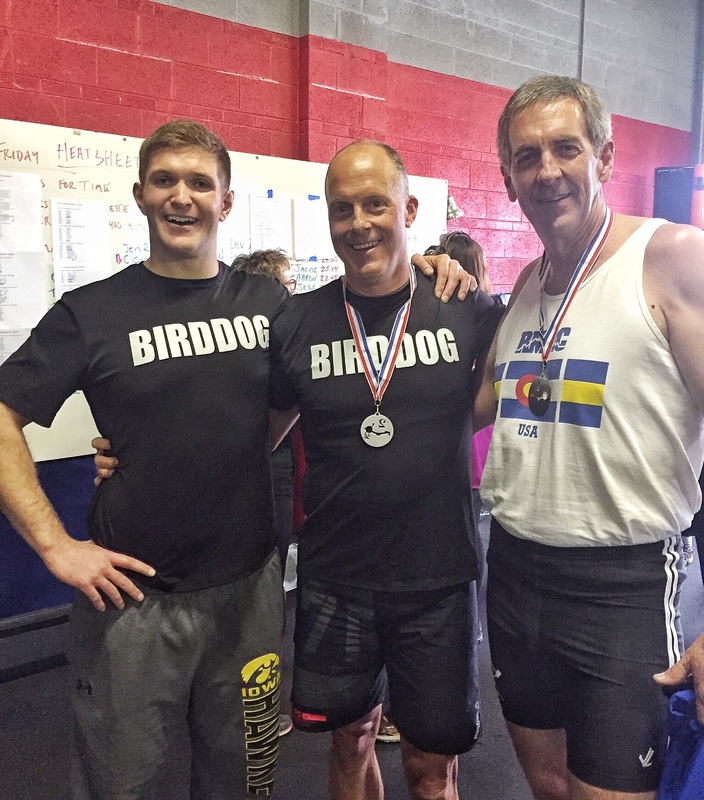 Peter (aka Birddog) rowed a 6:43 for his 2k, and Scott rowed a 1:28.3 in his 500m. Stoked for you guys! Rowers and their cheering section! I first became a lifeguard at the age of 13. That means my first CPR and First Aid Certification happened OVER 18 YEARS AGO! (Wow, that makes me feel old!) The point is that in my industry (as Head Coach at a CrossFit Gym), safety should always come first. 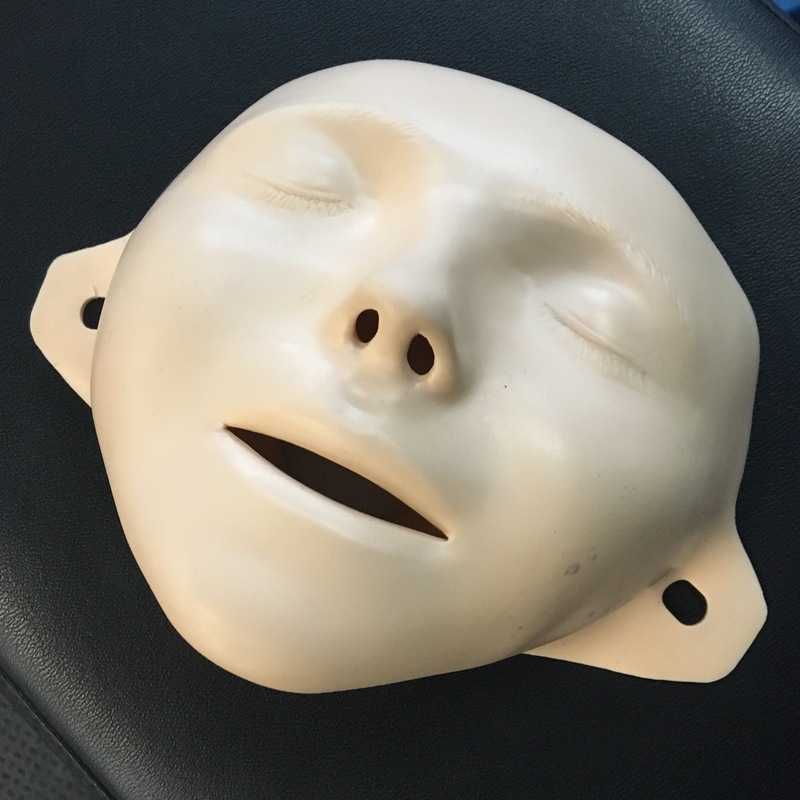 While to some people, putting your face on a creepy mask and breathing into a “dummy” may not be the best way to spend an afternoon, I kept reminding myself that if something happened where an athlete collapsed or got hurt… I have been tasked with being able to do my best to help save the athletes in the gym. I remember always thinking as a teenager, “I hope I never have to use this information, but I’m glad I know it!” It’s a big responsibility, so I’m glad to have had that refresher yet again. Oh, Danny and Sarah! By far, one of the most fun couples I know. 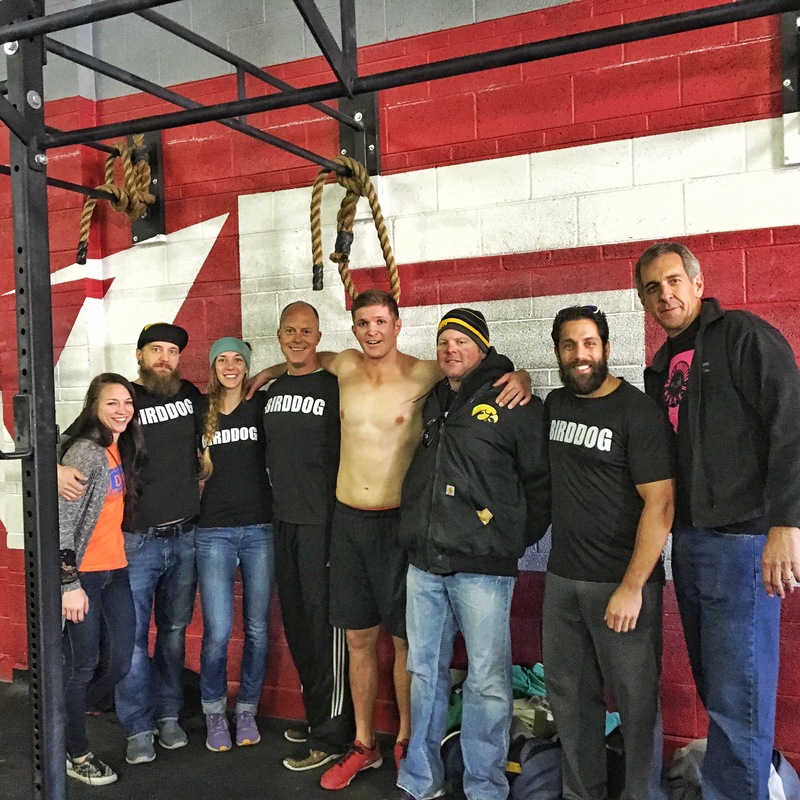 Danny and I met years back competing in CrossFit competitions, and I met his wife Sarah when they came over to train at the gym where I worked. Sarah has always been Danny’s number 1 fan, showing up to events to cheer him on, these last few with their amazing baby boy in tow. When I heard that she had finally agreed to COMPETE in an event, and do it as part of a TEAM with Danny… I was beyond happy! Not only did they compete together, work together, suffer together, and SURVIVE together… but out of FIFTY SIX (yep, 56) teams in their division, they placed THIRD on one of the events. Now THAT is awesome. Congrats to both of you, it was so fun watching you two throw down together! After the final workout of the Competition! The point of this post is to acknowledge and congratulate EVERYONE who has the courage and/or confidence to put themselves out there and compete on a public stage! In my opinion, it’s never about whether or not you win. It’s about did you put in the work to do well, and did you give it your all on Game Day!